Andrew Merton is a journalist, essayist, and poet. 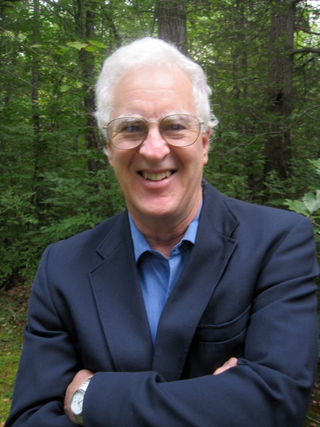 Publications in which his nonfiction has appeared include Esquire, Ms. Magazine, The New York Times Magazine, Boston Magazine, The Boston Globe, and The Green Mountain Review. His book Enemies of Choice: The Right-To-Life Movement and Its Threat to Abortion, was published by Beacon Press in 1980. His poetry has appeared in Bellevue Literary Review, Alaska Quarterly Review, The Rialto (U.K.), Comstock Review, Louisville Review, Vine Leaves, the American Journal of Nursing, and elsewhere. His book of poetry, Evidence that We Are Descended from Chairs, with a foreword by Charles Simic (Accents Publishing, 2012) was named Outstanding Book of Poetry for 2013–2014 by the New Hampshire Writers' Project. His second book of poetry, Lost and Found, was published by Accents Publishing in 2016. He is a professor emeritus of English at the University of New Hampshire. Find out more about Andrew Merton's latest book. Click on link for Accents Publishing's description of "Final Exam"
Your wife said to put down some two-by-fours first because the ground was muddy. Perhaps it was not your wife who said this, but an old man wearing a checkered flannel shirt and a feed cap in a bait shop up in Maine. Perhaps the old man said something different: Ayuh, the bluefish ah runnin' somethin' fee-yus this summah. It is more likely, though, that the remark was made by a cockatoo on a voodoo queen's shoulder, in a café in Havana in the early '50's, and that the fierce runners were rogue toreadors stampeding toward the sea. You remember that you are neither married nor male, and that you would not be able to stack wood without changing out of the little black dress and stilettos you put on for your date tonight in Cairo with the late heavyweight champion John L. Sullivan. Before quitting work you mull over your decision to tell the story in the first person. "This marvelous book...goes cradle-to-grave in its coverage of a lifetime's worth of erratic heartbeats."